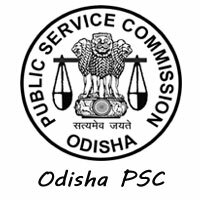 OPSC Jobs Recruitment Notification 2018.Odisha Public Service Commission, OPSC inviting applications for the positions of Dental surgeon posts.Interested and Eligible candidates can apply for the positions. Last Date for Submission of Application is on October 11th, 2018..
Total number of dental surgeon vacancies to be filled are 61 in the department of Health & Family Welfare. In between 21 to 32 year candidates can apply for this recruitment notice. Bachelor degree holders in dental surgery or equivalent degree holders from medical college / institution recognized by Dental Council of India. Through examination/ interview basis candidates will be recruited. Mode of applying for OPSC recruitment is through online. The online portal link will be active from 12th September 2018 to 11th October 2018.
http://opsconline.gov.in/051819/reg_decla_051819.php is the link for contenders to apply directly.